We’re continuing the “Money Series” where we discuss the overarching principles on how to take your business from zero to six-figures, six-figures to seven-figures, and seven-figures to eight-figures. Today we’re digging into the critical scaling point, where most people get stuck, going from six to seven figures. This is one of the trickiest points to navigate in a personal brand business because it is a massive transition point that must be meticulously orchestrated and navigated. Like most things in life, when you see them coming, you can plan for it, anticipate it, and get through it – no matter how challenging. It’s the things you don’t see coming, that you don’t anticipate that wreak havoc. It’s important to know what you need in order to make this transition from six to seven-figures before you get too far along in your journey. Having foresight will impact decisions you make today, and ultimately make it easier to make the transition down the road. You Can’t Hustle Your Way to 7-Figures. Building a business is much like a game of chess, or building a house. You must have foresight in order to get a desirable outcome. We’ve seen so many people “Hustle” their way to a solid six-figures, even pulling in just under $250,000/year. But, what gets you to low six-figures, will not get you to seven-figures. You can hustle to six-figures, but you can’t hustle your way to seven-figures. In fact, the correct way to get to six-figures is truly through hustle, but, it’s NOT just nose-down, “blind” hustle. That’s the big distinction here. You’ll often hear people in the lean startup space talk about “doing things that don’t scale.” This is one of the core principles that we teach as well. But, the statement has become so cliche that people don’t truly understand the meaning behind the statement. It’s become a buzz-phrase these days that’s just thrown around. Very few people are actually “doing things that don’t scale” the right way. In order to make that transition from six to seven-figures, your six-figure hustle needs to be “head-up” hustle. You should have a clear path and understanding of how your hustle today is making it easier to scale to seven-figures down the road. “Do strategic things that don’t scale, things that also allow you to develop learning, information, and relationships that will help you scale in the future”. You must do strategic things that don’t scale. This often goes overlooked. If you’re having trouble making the transition from six to seven-figures, and you’re hustling hard. It’s time to get more strategic with your hustle! All hustle should be a strategic move for a short period of time, to get you to a point of leverage, systems, and automation. Those are a few of the key principles that we will be discussing today. There are two main ways to generate leverage. Through hiring team and through technology. 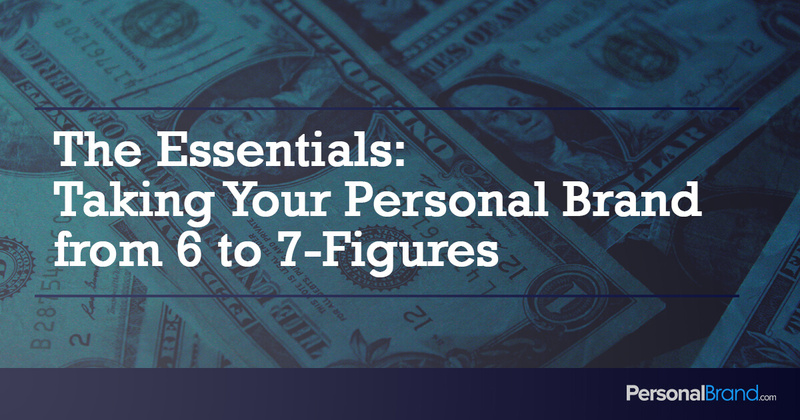 Technology and automation are central to the process of moving from six to seven-figures in your personal brand business. In order to run a very successful seven-figure online business, it doesn’t require a big team, or a lot of overhead expenses. Most people should be able to sustainably maintain seven-figures with a team of 3-5 contractors. So, leverage through hiring and managing a big team isn’t something to worry about quite yet. At this stage, breaking into the two comma club is heavily dependent on building out the right systems, technology and automation in your business. This day an age, a team of 3-5 people equipped with the right skills, systems, technology and tools, can be as effective as a 10-20 person team just a couple decades ago. Your small team should be developing internal systems by documenting “Standard Operating Procedures” (S.O.P’s). S.O.P’s are simply just detailed descriptions of steps, actions, learnings, etc. in order to complete a task essential to the business. This is something very few entrepreneurs do, because it can be very tedious, but it is a great way to get more efficiency out of your team in the long run – and make sure you’re not having to learn from the same mistakes more than once. That is one of the fastest ways to kill a business, making the same mistake over and over. Building to seven-figures is very hard without building systems and automations where prospects can engage with you, your products, and services at different price points, generating an automated flow of new business. This is where having a solid grasp of lead generation, nurture campaigns, and evergreen marketing funnels come into play. Going from six to seven-figures requires removing yourself from directly being involved in the revenue-generating mechanism of your business. You must be able to automate your sales funnel and should have little or no involvement in closing deals, collecting money and delivering value. This is where that concept of “strategic hustle” comes into play. People tend to jump to technology and automation too soon. They start building a course from day one, learning Facebook ads, and building automated marketing funnels before they’ve ever even closed a sale. They end up spinning their wheels and struggling because they haven’t done the hard work to really learn what drives the sale. You must know what levers to pull to generate a sale “manually”, before you ever attempt to automate sales. If you don’t go through the “strategic hustle phase,” you don’t truly know what to automate. Everything you learn in your “strategic hustle phase” is what you’ll automate with technology. This is why strategic hustle is key to building a successful online business that scales. Most people struggle breaking through to seven-figures because they build their business an inch deep and a mile wide, constantly chasing new opportunities and abandoning existing products, projects, and ideas that still have massive potential. In order to build to 7-figures, you must have an inch wide and a mile deep mentality. One of the best ways to implement this mentality is with a logical product progression. This is something that we cover in much more detail in our online course and coaching programs, but a Logical Product Progression (LPP) is when a specific brand has different “levels” of products and services to meet different needs in the marketplace. Most people who are struggling to reach 7-figures do not have an LPP in place and are stuck either selling their time via under-priced done-for-you services – which is hard to scale. Or, they are selling to the bottom part of the market with low-priced products like books, ebooks, and mini online courses with no high-priced offering. It’s important that you provide solutions at several different price points and move your done-for-you services to the high end of the spectrum. People who build seven-figure businesses understand that there is a percentage of the marketplace that just wants to work with the best, and they are willing to pay a premium for peace of mind. If you can use your lower-priced products to position your brand, and communicate that you know what you’re doing. The high-paying clients will come knocking on your door. You’ll be able to work with fewer clients, make more money, and have a bigger impact. This is why the concept of building a LPP makes it’s much easier to build ONE brand to 7-figures, rather than aimlessly building 8-to-10 different brands to six figures. The key is to make sure that your effort compounds on itself, accelerating you in a single direction, rather than your efforts working against each other, pulling you in 360 directions at once. All this said, there’s no such thing as get rich quick here. If you want to build your business to seven or even eight-figures, it is going to require a great amount of focus, dedication, and hard work. Most people think that a 7-figure business requires a lot more complexity and sophistication than a 6-figure business. The exact opposite is almost always true. The more complexity you create in your business the more friction and resistance you will experience whenever you try and grow. Complexity is the breeding ground for both customer confusion, and team stress, overwhelm, and turnover. Having worked with some of the top personal brands in the world, I’ve had a unique opportunities to see under the hood of their businesses. Each time I was overwhelmingly surprised at how simple their automations, technology, and systems were. You go to these big marketing conferences and you learn about the latest “Segmented-behavioral-dynamic marketing funnel”, and it sounds awesome!! But, in reality, very few people at the top of the industry are actually implementing that type of stuff in their business because it creates so many more points of failure. 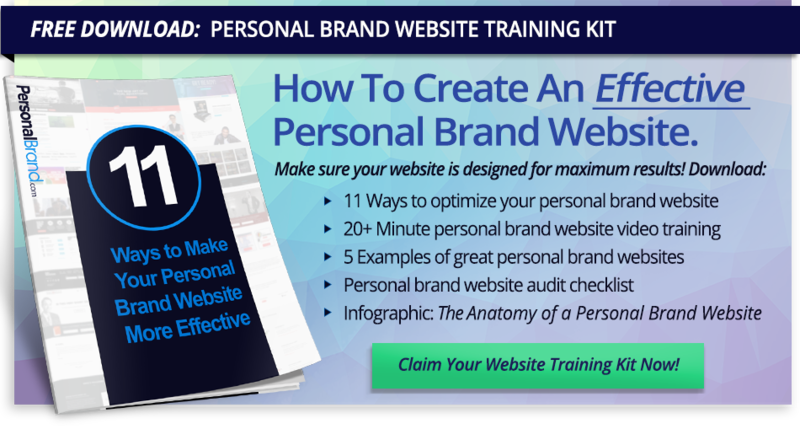 One of our biggest clients was running an 8-figure personal brand business with some of the most simple marketing funnels I have ever seen. Complexity does not equal success. You can build an 8-figure empire by strategically implementing very simple systems and technology. Just because your marketing automation software has the capability of doing crazy-advanced stuff, doesn’t mean you need to implement it all. Keep it simple, spend more time on your messaging instead of fiddling with tech. Whenever I speak at events, I always make this point: Great messaging in a simple funnel will out-perform poor messaging in a complex funnel, every day of the week!